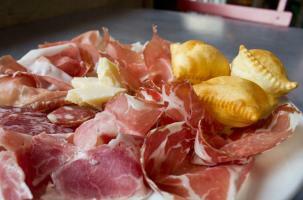 Our Milan Food Walking Tour is an unique and memorable tasting experience through the historic district of Brera- the oldest neighborhood of Milan, where old-world charm meets a youthful downtown vibe. The Private Food Tour is a unique and memorable tasting experience through the historic district of Brera, which is one of the oldest and fascinating neighborhoods of Milan. 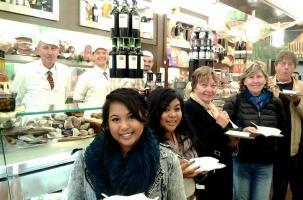 During our Milan Walking Tour you will taste your way through local shops that specialize in traditional recipes. You will also learn about the colorful history of Milan and its evolution throughout the centuries, from the use of the "Navigli" which was the system of navigation between the interconnected canals around the city, to the new and futuristic area of Milan.